Sequins, champagne, fireworks, family and friends.... Gang's all here! Every New Year's Eve, my family and I sit around the dinner table discussing our resolutions for the upcoming year. Yes, as you might have guessed, I bring my notepad to the table where I've scribbled down my entire list (and probably my to-do list for the following day, too). I have to say that Christmas this year blew by - literally if you notice my wild hair in these pictures. But, I managed to convince my whole family to come over to my side of the state for this week so we could keep our annual tradition. If you're still searching for the perfect New Year's Eve dress (I still haven't solidified my look yet, I feel you...) check out the options that I've linked below. If you know me, you know that I could honestly wear black every day without a single regret. It just ALWAYS works. 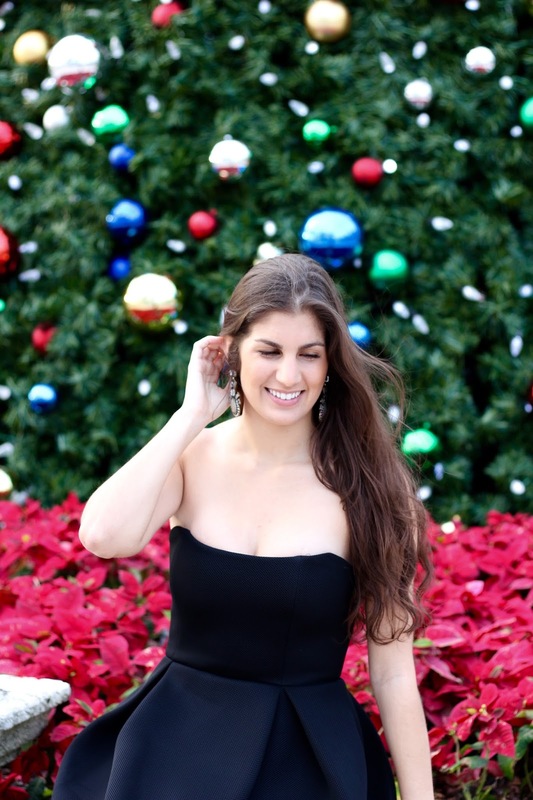 That being said, I've rounded up my top LBD picks for you to rock this NYE. Throw it on, grab your heels and swipe on a bold shade of lipstick; you're ready to take on the world babes. Do you have any fun plans for NYE? You look SO super pretty, lady! And the $10 Bauble Bar? Stop it! You look so beautiful in your stunning black dress and I love your clutch! Very pretty look! Hope the last few days of 2015 treat you well! This black is so chic! I am in love with this dress with those stunning earrings too! This little black dress is adorable! I love the earrings you wore with it too! LOVE the box pleats. Perfect dress for sure! This look is gorgeous!! Loving those earrings and the simple shoes! That sure is a perfect LBD! I love the glam earrings too! You and I could be best friends! I am always taking down notes and almost every day you will find me in ... you guessed it ... the color black. This is a beautiful dress! 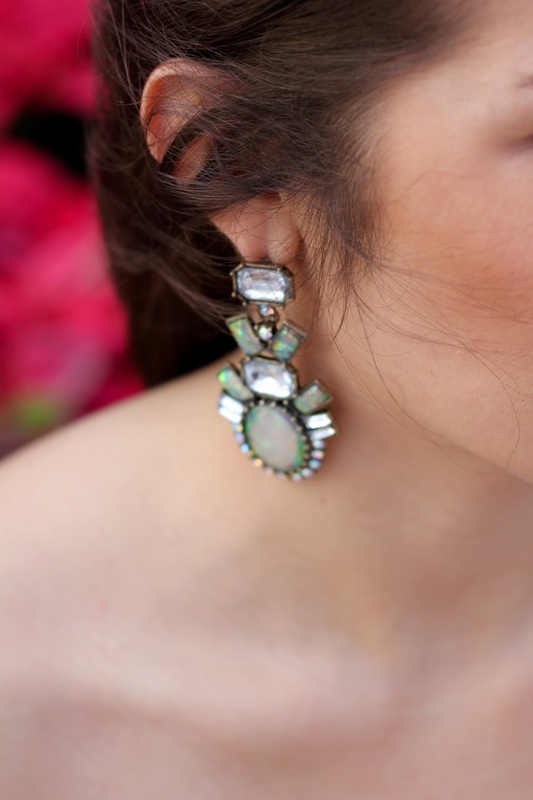 I have those gorgeous earrings in pale pink and didn't know there was a petite version! Thanks for linking. STUNNING! This dress was made for you! I love this whole post! You look amazing. That dress could not fit you better! Beautiful photos, too! This dress is awesome for NYE. You look so glam from head to toe! $10 statement earrings?! Awesome find! Happy new year girl! This is really cute. Little black dress is my favourite. Because black is never go out of fashion. I just love your accessories specially that black clutch purse.